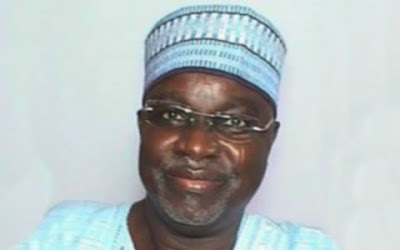 The State Security Service has summoned a serving Senator, Ahmed Zanna, over his alleged involvement with the violent Islamic sect, Boko Haram. The summons is in connection with the arrest last week of a suspected member of the group, Shuaibu Bama, in a house believed to be the senator’s. The Joint Task Force had arrested Bama in the building along Damboa Road in Maiduguri, the Borno State capital, last Friday after soldiers stormed the House. The JTF had claimed that Bama was one of the commanders of the sect, who had been under watch. Zanna, who represents Borno-Central Senatorial District, confirmed the summons to newsmen on Sunday. He admitted being aware of a text message from the Director-General of the SSS, Mr. Ekpenyong Ita, inviting him to the SSS headquarters on Monday (today). Zanna stated that since the incident occurred he had not been contacted by security agencies until Sunday. “Since my house was searched and the JTF made the announcement, I have not been contacted by security agencies. “But it was only this morning (Sunday), I saw a text that the SSS DG will want to see me on Monday. I will honour the invitation”, he said. The senator denied that Bama had any links with the sect, though he admitted that he was his sister’s son. He described Bama as a “drug addict”, who frequently threatened to kill members of his family. He claimed that due to his behaviour, he had to send him out of his house, but could not explain how he found his way back to his house last week. The senator also claimed that Bama was arrested in the house of a former governor of the state, Senator Ali Modu Sheriff, contrary to the report by the JTF. When asked why the JTF linked Bama with him instead of Sheriff, the senator responded that it was a frame-up to pay him back for constantly attacking the JTF in the media. He said, “Contrary to the claim of the JTF, the boy was arrested in Rabi Street, off Damboa Road. And the house belongs to Senator Ali Modu Sheriff. “Before, the house belonged to one Abba Mala, a Cameroonian. And later he sold it to the late Tijjani Banki and Sheriff bought from Tijjani Banki. “I really do not understand why they did all this. I am confused. If they want to frame me up, they have failed in that one because they did not get that boy in my house. “I have nothing to do with it. Let them go and ask the person where the boy was staying. So, they should not have mentioned my house. “Yes, he is my sister’s son. As for his behaviour, he is a drug addict. He beats up my children, he abuses my friends.